As a member of Seattle Opera’s chorus for almost two decades, Karl Marx Reyes has played dozens of different characters on our stage: from unruly gypsy to betuxed party-goer, from ancient Egyptian messenger to Viet Cong killer, fading into the background when required and stepping forth to give solo lines with necessary panache in other cases. In Daughter of the Regiment he plays Hortensius, the snooty servant of the Marquise of Birkenfield. He spoke with me the other day about his career and the character he plays in this romantic comedy. Karl, I’ve never asked you...is there a story behind your name? Yes! When I was born, it was the Marcos era in the Philippines, and my dad was fed up with the government. There was a movement in the town where he was raised, the Philippine Communist party. No! But I got stuck with the name—he said, “I’m going to name my first-born ‘Karl Marx.’ He had read the Communist Manifesto, he loved the ideas—it was his utopia. He was a bit idealistic, as he later realized. He then changed his ideology, and named my little brother after our country's national hero, Jose Rizal. Has this question come up before? I doubt I’m the first person to ask you about your name. Not at all. 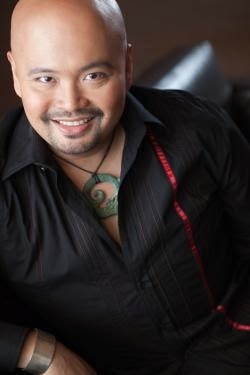 In fact, when I started working with Seattle Opera, I was encouraged to call myself simply ‘Karl Reyes.” But when I started to do solo gigs, I switched back to my full name, also to honor my dad, who passed away a few years ago. Now, you had a prominent solo line, as a Gibich vassal this summer. How many Rings was this for you? That was my fourth Ring. I did the Rochaix Ring in ’95, and then the Wadsworth Rings in ’01, ’09, and ’13. I had health trouble in ’05, so I didn’t sing that one. Have you always sung that same line? No, my voice teacher, Stephen Wall, used to have that line. We had a great Seattle tradition passing-of-the-torch from teacher to student with that line! He sang in the Ring this summer as well. He’s a great mentor. I didn’t pick Stephen out of the mob of vassals this summer; but you guys are pretty well disguised, with all that armor and facial hair. It’s also the discipline of being in a chorus—you can’t pull focus away from the principals. It’s very different from how you approach a featured role, when you have your solo moment to shine. Chorus members learn how to blend into the background. What’s it like to switch over from being in the chorus for so many productions to doing a featured role? It’s still a little surreal for me, to believe I’m working with the caliber of performers in this Daughter of the Regiment cast. What a voyage it’s been! I remember the first time I sang for [Seattle Opera’s chorus master emeritus] Beth Kirchhoff, in her studio, twenty years ago...I chose not to go to conservatory, for financial reasons—and for artistic reasons as well, because when the opera company offered me the chorus contract and said, do you want to be in the chorus, I figured it was the closest thing to a Young Artist Program (which didn’t exist back then). I decided that Seattle Opera would be my conservatory: this would be where I learned the craft. It’s so gratifying, now, to see that pay off. 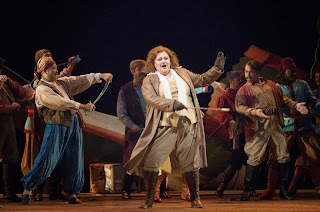 Speaking about stepping out of the chorus to shine in a solo role, tell us about this character you play in Daughter of the Regiment, Hortensius. He’s a very grateful servant. 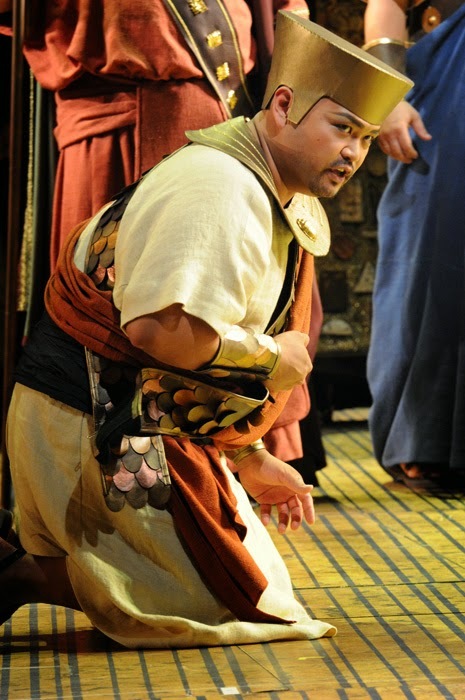 This opera takes place in a world with a powerful nobility, and a well-placed servant like Hortensius has proven himself. He’s really attached to the Marquise; he holds the secrets of the household, he knows everything. And that’s not for a power-trip over her; he really likes her and wants to protect her. Would he fit into Downton Abbey? Oh, yes. I don’t know the names of all the characters—my partner is so into that right now—but there’s a snivelling footman (Thomas) who got booted out of the house in Season 1, went into the army, everybody hates him, and initially I thought Hortensius was a bit like that...but I changed my mind, he’s not really that pathetic. He has a good side; he really cares about the family. ...oh, he knows. The way we’re playing it, you see that Hortensius knows. Emilio [Sagi, the director] and I had the exact same thought about this moment: Hortensius steps in to make sure she doesn’t give it away to Sulpice initially, because she would lose face, which is so important in her society. So does the relationship between Hortensius and Marie evolve over the course of the story? The way I understand it, in this era women cannot hold the estate, it’s only men. So there’s something in this for Hortensius as well: job security! If Marie inherits from the Marquise, the money stays where it is, and he keeps his job. But let’s not overthink all this—it is a comedy, after all! Is it a big sing, for you? Most of my singing happens in the opening scene. As you know, I’m a tenor; but this role is in fact written for a bass! I am in fact singing low As, the bottom of the bass clef. You have such a clarion top—you made such a strong impression, for example, in Amelia. But you’re comfortable with this low range? 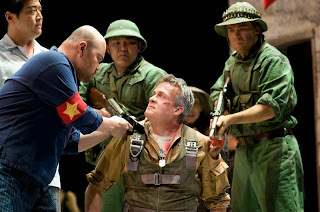 That was the big question, when Aren [Der Hacopian, Seattle Opera’s Artistic Administrator] first considered me for this part. But it’s fine, I have two and a half octaves, so it hasn’t been an issue. You were screamingly funny as a dancing pirate enthralled by Stephanie Blythe as the Italian Girl in Algiers. Do you prefer opera comedies or tragedies? 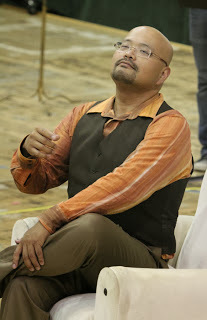 That’s the beauty of doing character tenor roles—you get to do the entire range of expression. I love it. 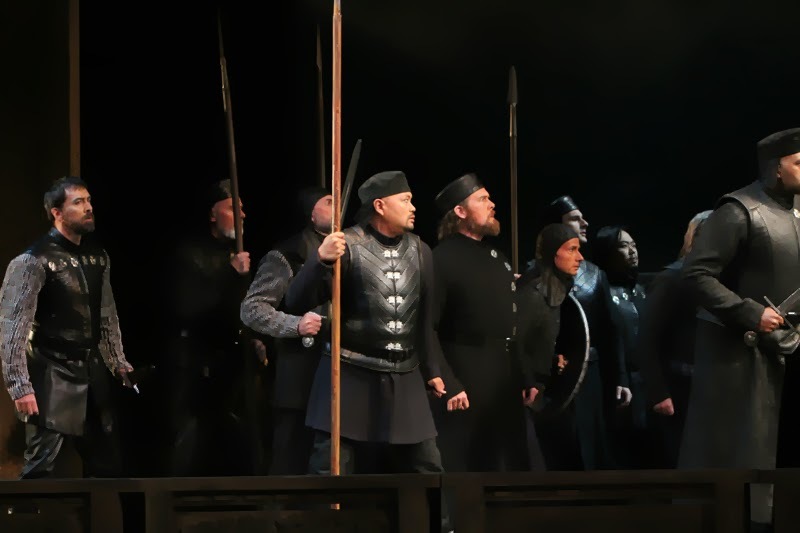 One of my dream roles I hope to sing someday is the Simpleton in Boris Godunov. It’s so powerful, so tragic. It’s all about telling stories, in the end.